It's got nothing on this 'Tornado Intercept Vehicle', which copped a direct hit from wedge tornado in Kansas yesterday. 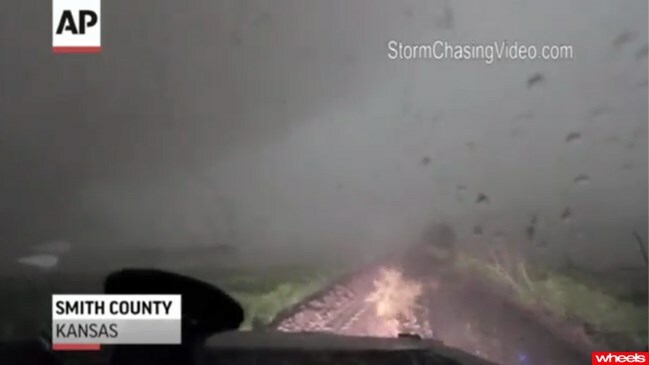 The footage is pretty intense, with the car's occupants - daredevil storm chasers Brandon Ivey and Sean Casey - surviving the tornado's brutal 280km/h winds. The car itself, which is based on a Dodge Ram truck, is fitted with four-wheel-drive, 1/8 inch steel armour and bullet-resistant windows. Watch the video to see why it needs its tank-like armour.